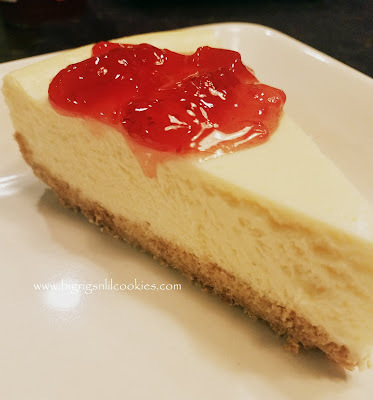 Who all loves cheesecake? While I do love it, my husband is a fanatic! He loves all things cheesecake. Since he has been laid off for a while this winter, I figured I should make some of his favorites. This way he's home to gobble them up, and that means less temptation for me to be eating more than I should. 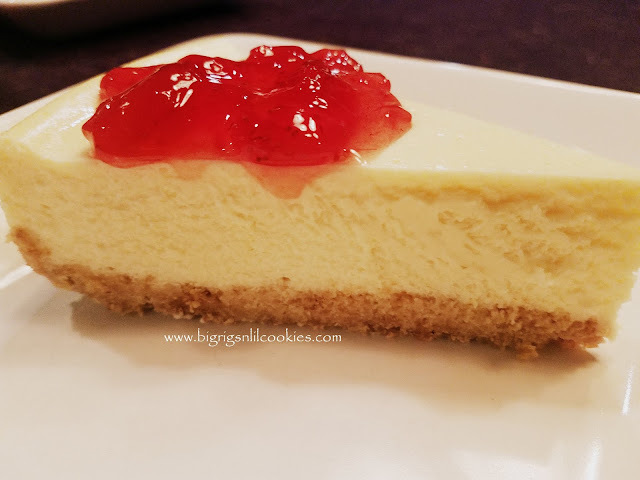 I tried a new cheesecake recipe this time, and have to share this with you. This recipe is from my friend Carlee, who you can find at Cooking with Carlee. She has so many great recipes and our husbands have similar tastes, so she is definitely one of my go to sites for recipes. Carlee's cheesecake definitely got a thumbs up from us. It was a little different from the cheesecake that I normally make, in that it uses Sweetened Condensed Milk. The texture was perfect, and the top didn't crack! But, the bonus was it wasn't as heavy as other cheesecakes. I really enjoyed that I could eat the whole piece without feeling like I over-indulged! Yay!!!!! I am so glad you liked it, it's one of our favorites for sure! I am not a fan of heavy cheesecake, so this will be one I will try for sure. I adore cheesecake, it is almost health food. Yours look lovely, not wonder hubby is a fan. Happy Valentine's Day! My husband loves cheesecake, too, and is always clamoring for me to make another one. I think he could eat it every day. Your photos have me wanting one, too!